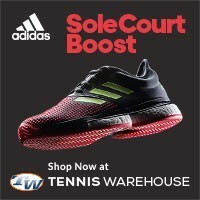 Hey Tennisthis.com fans and readers! Just when we thought 2010 was coming to a close without a hitch, we have found this interesting little picture. Who is that and what is she holding? After tons and tons of rumors that Caroline Wozniacki was going to switch tennis racquets, we come across this picture providing evidence that she could very well be leaving Babolat tennis racquets behind and going to Yonex tennis rackets. Interesting eh? We thought so, which is why we are sharing this with you. Wozniacki had not made the switch until now because of her contract with Babolat (expires at the end of the year). We’re sure Yonex has paid a pretty penny to get the tennis superstar to sign with them, however; we are confident it is well worth the price. Looking at the Yonex tennis racquet, it’s quite hard to make out what model Wozniacki will be using. 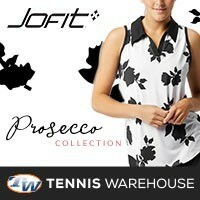 But we are pretty sure it will be the new line that Yonex will be announcing at the beginning of the new year. It is certainly not the E-Zone model that Yonex has, so our guess is as good as yours. Now the only questions that remain are, will this racket change help her tennis game? Will she be able to capture a slam with the change? What is the adjustment period like for her? What else can we expect from Wozniacki switching tennis racquets? What are your thoughts readers? Oh and a side note, Wozniacki looks absolutely stunning in that white tennis dress! I have the RQIS 2 Tour and love that racquet, but I swore that Wozniacki’s had more red in it then the 2 Tour. 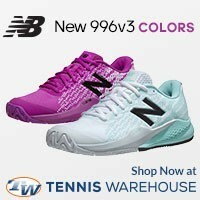 I was surprised that Tennis Warehouse and Tennis Express had it listed that way, but at a quick glance they look similar. The real question is when will this VCore be available to the public! There are even a few guys on tour playing it now as well. At first we thought it was the RQiS 2, but then you look at the throat of the racket and the paint job is completely different. As far as public release, our sources say “pretty soon”, however; we’ll be sure to post the actual Wozniacki tennis racquet as soon as it’s available. 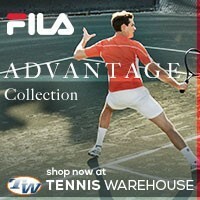 You’re right, according to Tennisexpress and Tennis-Warehouse, Wozniacki is using the RQiS 2 Tour Long. We’ll make the appropriate changes. Thanks for pointing it out!